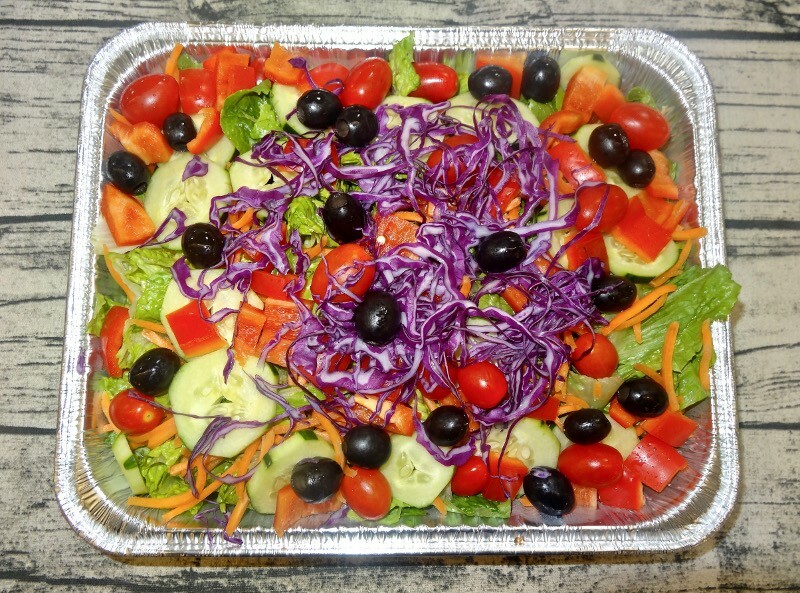 Fresh romaine lettuce, cucumber, sliced carrot, grape tomatoes, red cabbage and black olives. Fresh romaine lettuce, cucumber, sliced carrot, grape tomatoes, red cabbage and black olives. 4 lb. Serves 8 to 10.